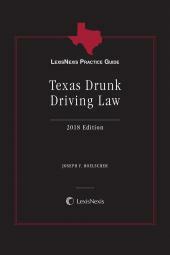 LexisNexis Practice Guide: Texas Drunk Driving Law provides comprehensive coverage of the essentials for trial practice, supported by citations to the most relevant state and federal case law, rules, and statutes. 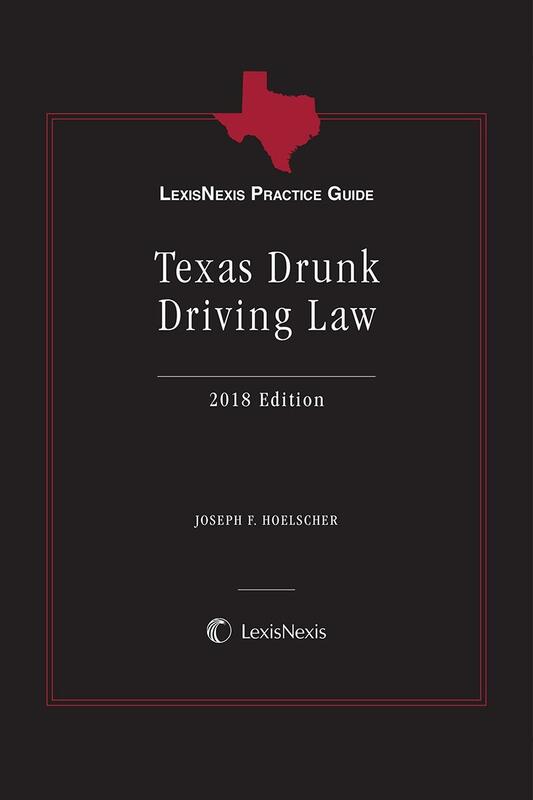 LexisNexis Practice Guide: Texas Drunk Driving Law is designed to guide you step-by-step through your practice of drunk driving law. 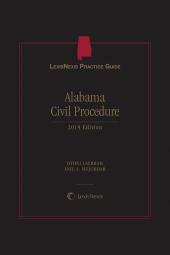 The Practice Guide provides comprehensive coverage of the essentials for trial practice, supported by citations to the most relevant state and federal case law, rules, and statutes. This indispensable guidebook for maintaining a successful DWI practice contains numerous sample forms, helpful practice tips, and authoritative resources. 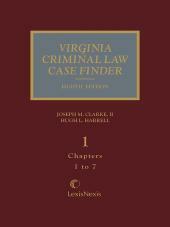 Included in the 2018 edition are new chapters on pretrial pleadings, voir dire, and stop and investigation, as well as a new section of useful Appendices, including voir dire questions related to field sobriety tests and sample cross-examination on dozens of topics. Joseph F. Hoelscher II, partner in the law firm of Hoelscher Gebbia PLLC, is a DWI and intoxication offense attorney based in San Antonio, Texas.